Has EDD Denied Your Unemployment Claim? Contact Astanehe Law to Discover Your Options Moving Forward! How do I apply for California Unemployment Insurance benefits? An applicant must file an unemployment insurance claim with EDD to qualify for benefits. EDD allows online filing through UI Online, by phone, or by mail or fax. After the applicant files their claim, EDD sends the recipient a Notice of Unemployment Insurance Award that indicates the weekly benefit amount (“WBA”) the applicant is eligible to receive. Paradoxically, EDD sends the deceptively titled notice before making an initial eligibility determination and may still deny the applicant’s claim. Ultimately, EDD investigates the claim and makes an initial eligibility determination. California Unemployment Insurance Code §§ 301, 1326 et seq. A favorable determination means the applicant is eligible for Unemployment compensation and will promptly receive their benefits. Has EDD Translated the California Unemployment Insurance Application into Languages Other Than English? Click here to access the Spanish California Unemployment Insurance Application. Click her to access the Cantonese California Unemployment Insurance Application. Click here to access the Mandarin California Unemployment Insurance Application. Click here to access the Vietnamese California Unemployment Insurance Application. Click her to access the Tagalog California Unemployment Insurance Application. Click here to access the Russian California Unemployment Insurance Application. Click here to access the Punjabi California Unemployment Insurance Application. Click here to access the Laotian California Unemployment Insurance Application. Click here to access the Korean California Unemployment Insurance Application. Click here to access the Hmong California Unemployment Insurance Application. How Does EDD Disburse California Unemployment Benefits? Instead of mailing out benefit checks, EDD issues unemployment recipients a Bank of America and Visa-branded debit card. All benefit payments are processed directly to the card. The card has a three-year life, allowing the recipient to utilize for subsequent unemployment claims. Recipients do not need to open a bank account to use the card. Further, recipients can arrange for direct deposit of the benefit into a bank account. Additionally, Bank of America offers a free mobile application for convenient account management. How Long Must I Work to Collect California Unemployment Insurance Benefits? EDD does not require an applicant to have worked for a specific period to become eligible for California Unemployment. Instead, EDD looks at past earnings and requires the applicant to meet certain minimum income thresholds to receive Unemployment compensation. $900 in their highest paid quarter and at least 1.25 times that amount during the entire base period. Let’s suppose you earned $2,500 in one quarter and nothing in the other three quarters. You are eligible for benefits. If you earned $1,500, $1,700, $2,000 and $300 in each quarter of your base period, your highest paid quarter is $2,000. Your total wages are $5,500. Your total wages of $5,500 is more than $2,00 multiplied by 1.25, so you qualify for Unemployment. What if I Lack Sufficient Earnings During My Base Period to Qualify for Unemployment Compensation? Where an applicant lacks sufficient base period earnings to qualify for Unemployment compensation, they may still become eligible through the Alternate Base Period. Here, EDD must consider more recently earned wages to determine an applicant’s eligibility. The standard base period uses an applicant’s wages earned during the first four of the last five completed calendar quarters before the date of the unemployment claim. While using the alternate base period requires EDD to consider wages earned in the four most recently completed calendar quarters. How Long Do I Have to File for Unemployment? No deadline to claim unemployment exists in California. However, because EDD uses the applicant’s past wages in calculating the weekly benefit amount, a delay in filing a claim may result in a sharp reduction of the benefit amount or even ineligibility. How Does EDD Calculate My Weekly Benefit Amount? A recipient’s weekly benefit amount is approximately 60 to 70 percent of their wages earned during the base period. This is roughly calculated by dividing the total wages earned during the applicant’s highest earning quarter by 25. For example, an applicant who earned $5,000 during their highest earning quarter is entitled to approximately $200 WBA ($5,000/25 = $200). EDD offers an Unemployment Insurance Benefit Table for new Unemployment Claims. Consult the table by locating the total wages earned during your highest earning quarter. EDD caps the maximum weekly benefit amount at $450 per week. What if I Receive Social Security and/or a Pension? Unemployment Insurance recipients must disclose money they receive from Social Security and/or a pension. If EDD considers a recipient’s pension deductible, they will deduct the amount dollar for dollar from the weekly benefit amount. EDD will also subtract from a recipient’s weekly benefit amount when they receive Temporary Total Disability or Vocational Rehabilitation Maintenance Allowance benefits. The claimant did not ever pay into the pension fund. California Unemployment Insurance Code § 1255.3. EDD does not consider CALSTRS deductible because employees also contribute. What if I Cash Out my 401(K) While Receiving Unemployment Compensation? Under California law, 401(K) benefits count as income and may reduce the recipient’s weekly benefit amount. However, a cash out will not affect the weekly benefit amount where the recipient contributed to their 401(K) plan. California Unemployment Insurance Code § 1255.3. Otherwise, the recipient may expect a dollar-for-dollar reduction of their weekly benefit amount. Can I Appeal EDD’s Denial of my Unemployment Claim? Yes. Applicants have the right to appeal a denial of their unemployment benefits. Denied applicants have twenty calendar days from the date of mailing of the Notice of Determination or Ruling to appeal the denial. Once submitted, EDD sets an appeal hearing before an administrative law judge. The applicant can further appeal an adverse ruling to the California Unemployment Insurance Appeals Board and finally an appeal to the California Superior Court. Want to Appeal an Adverse EDD Determination? Contact Astanehe Law to Discuss Your Right to Appeal! 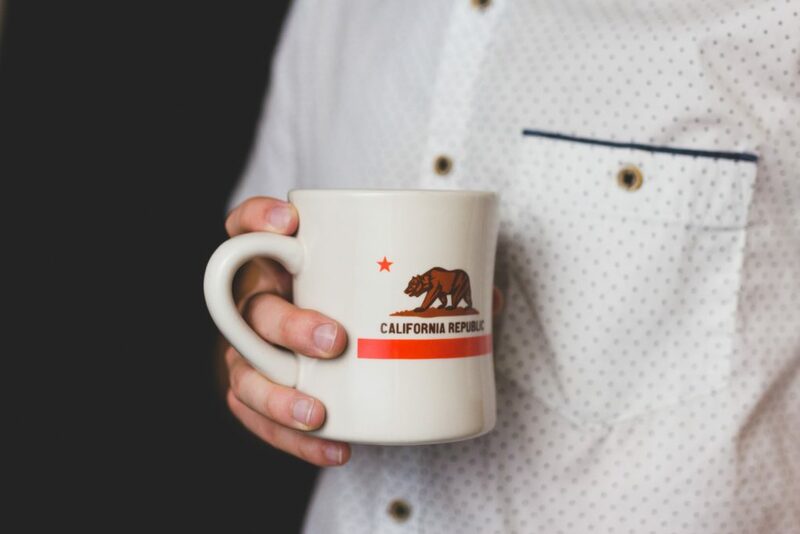 Can I Take on Part-Time Work While Receiving California Unemployment Benefits? Yes. California Unemployment recipients may work part-time and still qualify for benefits. However, the recipient must disclose the part-time work wages earned on their Continued Claim Form (DE 4581), which they can submit online or by mail. It is against the law to collect Unemployment compensation while working and failing to report wages. A recipient who mistakenly misreports their wages should contact EDD immediately to correct the mistake. The recipient must reimburse EDD for any overpayments. Further, A recipient is guilty of Unemployment Insurance fraud where they collect benefits based on knowingly providing false, misreported, or unreported information to EDD. California Insurance Code § 2101. Additionally, earning income while receiving Unemployment compensation may create a risk of losing your benefits. Contact Astanehe Law today to learn how to keep your Unemployment benefits while working part-time. Do I Report My Gross or Net Wages to EDD? You must report gross wages, which are all earnings or income before taxes or any other deductions. Must I Report Volunteer Work? No, so long as you do not earn wages from the volunteering. Contact Astanehe Law for your free consultation with an employee rights attorney. Astanehe Law knows employee rights!